Hollywood, after the massive success of It, plunders the Stephen King archive once again. Any bets on a remake of The Shining? 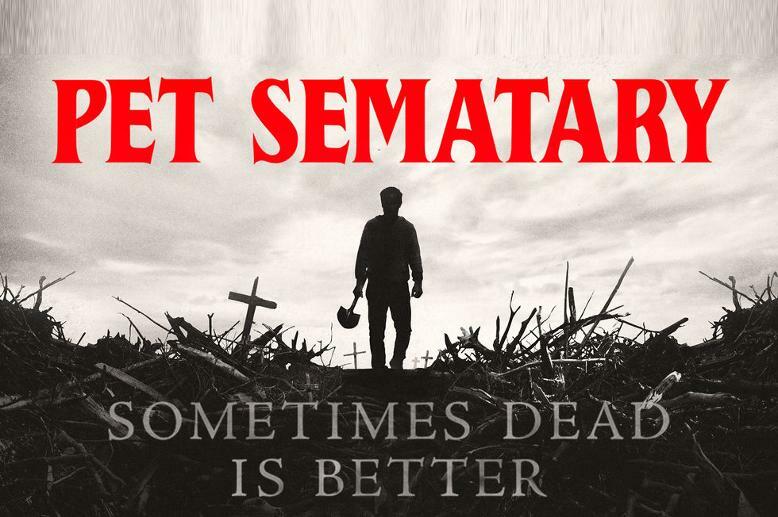 Pet Sematary, first brought to the screen in 1989, sees Louis Creed (Jason Clarke), after accepting a teaching position at the University of Main, moving his wife Rachel (Amy Seimetz) and their two children Ellie (Jete Laurence) and Gage (Hugo and Lucus Lavoie) to a remote house in the country. The family haven’t long moved in when they realise that the house isn’t ideal, massive trucks hurtle by the end of the road and their land contains a spooky pet burial ground. When Ellis’s cat is killed by one of the speeding trucks kindly old neighbour Jud Crandall (John Lithgow) takes Louis into the forest so that he can bury the cat. The pair then make their way back to their respective homes, where Louise finds that the cat has returned, slightly bedraggled but none the worse for being flattened by a truck. Pleased to see the cat and how it makes Ellie happy Louis doesn’t ask too many questions, however things start to take a turn for the worse when the cat’s personality changes. Realising that he’s made a mistake and after finding that he doesn’t have the heart to kill it, he takes it far from their home and dumps it by the side of the road. Just as it would appear that things are getting back to normal the deranged feline turns up and causes one of the rampaging trucks to career off the road killing one of the Creeds children. It’s not that difficult to see what direction Pet Sematary goes in after this point as old Jud tells Louis “They never come back the same”. Whilst not on the same level as It Pet Sematary has enough genuine scares to take it above the average horror movie.